Your Guide to Wedding Flowers. Part 1: Research. About this series. Your Guide to Wedding Flowers, from a Florist’s Perspective. Most of my clients are doing this for the first time. 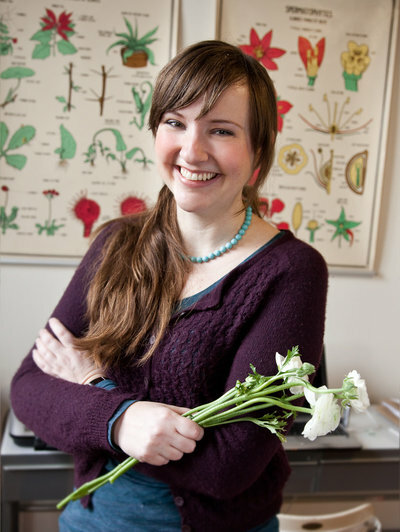 They’ve never hired a florist for an event, so they’re figuring it out as they go along, relying on internet research as well as the experiences of friends and family. I started this with the idea of creating a quick one-sheeter with tips for working with a wedding florist, but I can see from the length of this first post that it’s going to be more than that… A lot more than that. Part 1: You need wedding flowers. Where to begin??? Research. You’re engaged! Congratulations! Let the wedding planning begin! Where do you even start??? To begin your florist search, there are more (and better) options than Google. I’ll talk you through a few routes to go to give you some direction in your search. Most people use a combination of these resources to find the right fit for their wedding florist. Once you’re engaged, you’ll find that plenty of the married people you know would love to talk about their wedding planning experience. This is a great way to start your research. Hearing about your friends’ wedding professionals offers insight to the way the wedding vendor does business, beyond the pretty pictures. Keep in mind that your co-worker’s wedding may have had a totally different look or budget than what you’re going for, so their florist may not be the right fit for your wedding. Websites with vendor reviews, similar to friend recommendations, offer a look at the couple’s whole experience with a company. As with all review sites, take it with a grain of salt, knowing that there are some people who can’t be pleased. My clients typically use a mix of wedding-specific and non-wedding specific review sites. Of course, Yelp is the big non-wedding specific review site. With sites like Yelp, keep in mind that storefront florists (those who have retail shops in addition to doing flowers for events) are being reviewed not only by their wedding clients, but also by their retail customers. In defense of my florist-friends who also have retail shops, the stars assigned by a walk-in customer’s $5 greeting card purchase are weighted the same as the stars of a person who had a year-long relationship with their wedding florist. So dig a little deeper when looking at those stars. Thanks to our clients, we’re doing pretty awesome on Yelp. We pay no money to Yelp, but have great visibility there. The two big wedding-specific review sites are Wedding Wire and The Knot. With both sites, vendors pay for greater visibility in their vendor directories, so be sure to look beyond the first page to see all of the vendors. 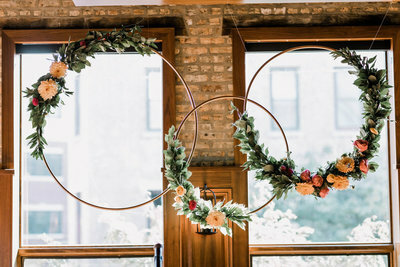 As a sidenote, we don’t even show up in the Wedding Wire directory for Chicago florists, unless you search specifically for Pollen by name, despite having 24 reviews averaging 4.9 stars and getting their “Couple’s Choice” award last year for getting good reviews. I don’t pay them any money. Go figure. Maybe I’m biased, but I think one of the best ways to get recommendations is from other wedding professionals. 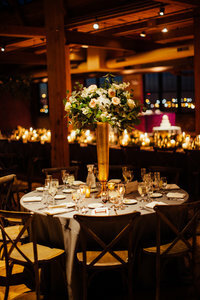 You’ll most likely book your venue first, so ask them if they have recommendations for vendors. The venue will have seen the recommended florists’ work and the florists will be familiar with the space. Your photographer, your caterer, your DJ… they all have seen plenty of weddings and wedding flowers, so tap into those resources. I’m always happy to provide recommendations for wedding professionals whose work I admire and who I enjoy working with. Be aware that some wedding vendors have agreements with other vendors that compensate them for their recommendations. 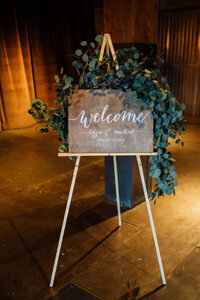 More specifically, some venues and some planners get paid by other wedding vendors to be on vendor lists or for bringing their clients in for meetings. It doesn’t mean those recommendations aren’t good ones, but I’m all for full transparency about pricing structures. I’ll let our friends at FIG Catering get into more detail on their experience with commissions. Social media provides plenty of visual references in your florist search. Once you have your venue, search Instagram, Pinterest and Facebook for your venue. Click on the location and see what else pops up. Depending on your venue, you may have to sift through lots of photos to see any flowers. 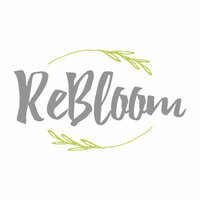 Start following your photographer on Facebook and Instagram to see what florists they‘re working with. And of course, start following the florists who catch your eye to see what they’re working on. Jump into the wedding blog rabbit hole! Search your venue or photographer on your favorite wedding blogs to see which florists have been featured. You can also look for more niche wedding websites for vendors who fit your style or values. Looking for eco-friendly wedding professionals? Use the Chicago Green Wedding Alliance directory (full disclosure: you’re talking to the president of the CGWA). Going against the grain with your wedding? Check out Offbeat Bride or A Practical Wedding and search for your venue or photographer to see which florists they’ve worked with. Looking for flowers in the Style Me Pretty vibe? Check out Style Me Pretty’s Little Black Book (full disclosure: member over here!). You’ve done the research and you’ve found a handful of florists you’d like to follow up with. 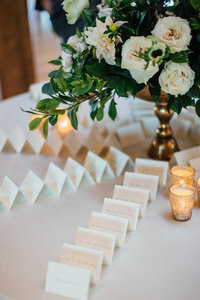 Don’t get your heart set on any one florist until you get a few important details. In the next post, I’ll talk you through the first questions to ask those florists on the short list. Did you find your florist in a way not listed above? Share your thoughts in the comments.